Take to the skies and make your paper fly! Swoop, dive, glide, float, and hover with these 35 brilliant flying objects and animals that can be made in minutes. 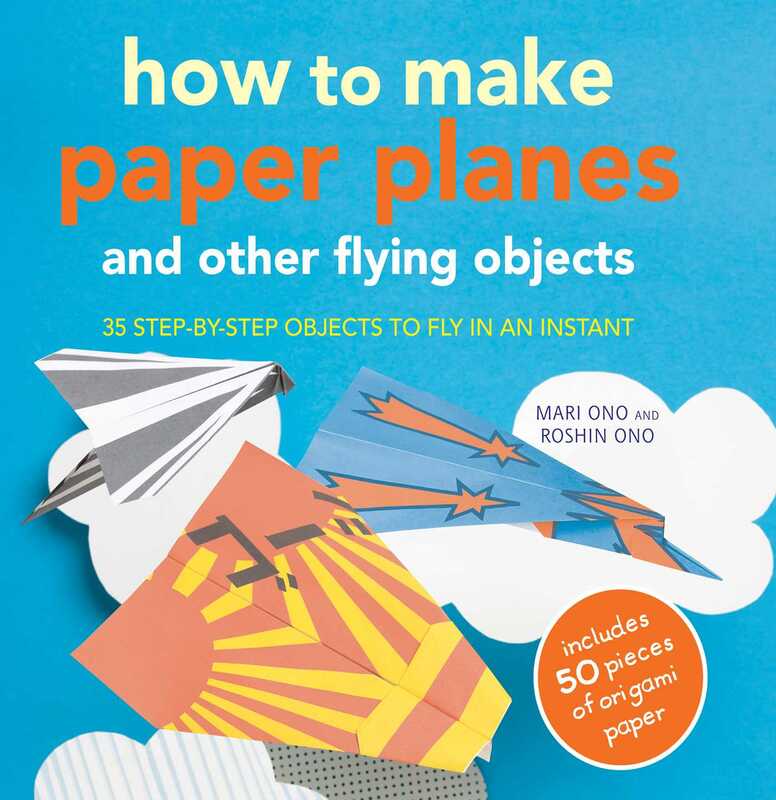 Mari and Roshin Ono bring you How to Make Paper Planes and Other Flying Objects, which comes with all the paper you will need to make the projects—so grab a piece and prepare for take off! With four great chapters looking at different types of flying object, you will find a whole host of new ways to make your paper fly. The first chapter looks at the classic aeroplane design that we all know and love, and then develops it to produce more exciting planes that are sure to win any flying contest, going longer and faster than you have ever seen before. If kites are your thing, then the projects based on traditional Japanese designs will no doubt appeal. Next up, you’ll find flying animals and great ideas for insect lovers, so you’ll soon catch the origami bug and want to make the dragonfly or crane. Lastly, budding pilots will love the rockets, space shuttles, and other flying objects.